Auto Kaya 47 is from the family of the legendary AK-47. It has been selected because of its shorter flowering period, bigger yield and high resin production. The strong smell and the right proportion between leaves and buds are the recognizable features collected from its different ancestors (Colombian, Mexican, Thai, Afghani). This is the new Auto flowering Kaya 47 strain. 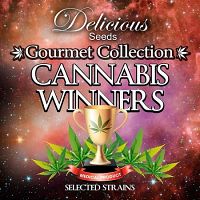 This strain can be harvested 70 / 80 days from seed. Auto Kaya - 47 is a medium high plant. 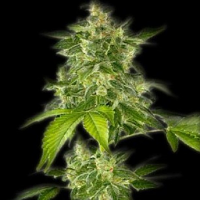 It develops a central big bud and excellent secondary buds, so you can get good yields. The aroma is intense, fruity and sweet. Mildew resistant. As in all auto flowering strains we recommend to sow in the final pot in order to avoid to transplant and get bigger plants. It gives its full potential indoors, finding the perfect balance between quantity, quality and time for cultivation. 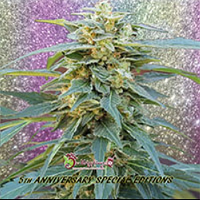 Its structure makes it ideal for small spaces, developing a large main bud with a moderate excellent secondary buds.